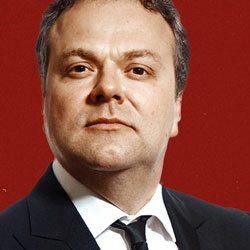 Having had a sell-out run at last year’s Fringe and a very successful tour of the same, Hal Cruttenden brings it ‘home’ to Edinburgh, albeit in a much bigger room this time. 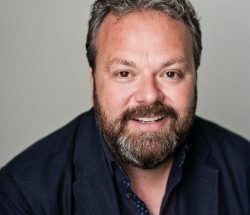 Cruttenden has had recent appearances on TV’s McIntyre’s Roadshow and The Royal Variety Performance with has no doubt raised his profile somewhat hence the sell-out shows this time around also. As a classically trained actor it is obvious that he can command a space and he is a performer who although claims to be a bit of a softie his stage presence is excellent, his delivery engaging and his material well written and funny. A self-confessed Liberal leftie he does venture into the political arena, Scottish independence, the North – South divide, Boris Johnson and Germany’s lead in the Eurozone crisis are subjects that he gives an airing, along with family stories, tales of Andy Murray and ending with an unexpected story of his bravery round out an excellent hour of comedy. Cruttenden is certainly going to be a huge name in the entertainment business and I will be looking forward to catching him the next time he is in the area.